Helping our students to reach their life goals. to develop people as individuals. to cover all that you need to change your future. Welcome to ESI !Bienvenidos ! Welcome to Emerging Studies Institute, a Bilingual Vocational & Technical School. The Institute is located in the diverse community of Providence, Rhode Island. ESI is committed in helping our students reach their full potential through support and guidance to a Career Path of their choice. ESI has a variety of programs that are offered and are focused on the central goal of improving a student’s personal and professional development. Emerging Studies Institute’s team have over ten years’ and more of experience in education including multicultural education that teaches people to acknowledge, embrace, and respect differences. 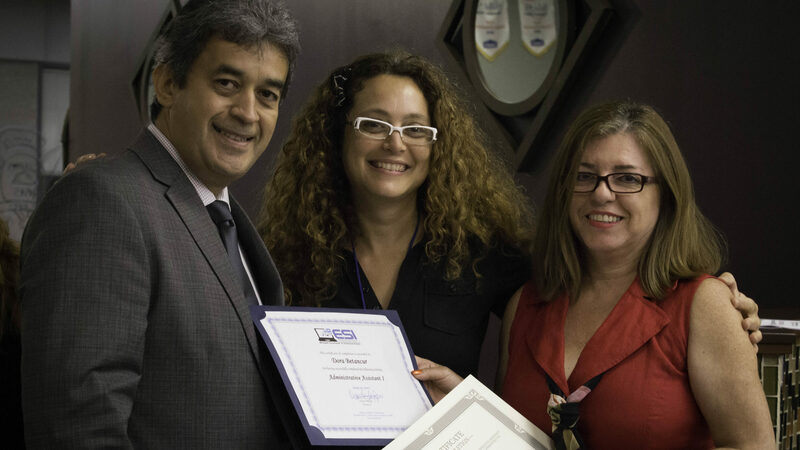 Our educators speak both English and Spanish to better support and encourage learning. Our educators are proud to serve the dense Latino population. Our programs are designed to provide students with job specific technical training targeted to all necessary areas to help flourish the student into the future career of their choice. Our courses provide hands-on practice to gain experience during the learning process. Courses include from basic computer skills to customer service. Our students will have a successful learning experience that will lead to certification with a graduation ceremony upon completion. We are a unique Bilingual Vocational and Technical School focused and motivated to promote education in our community. 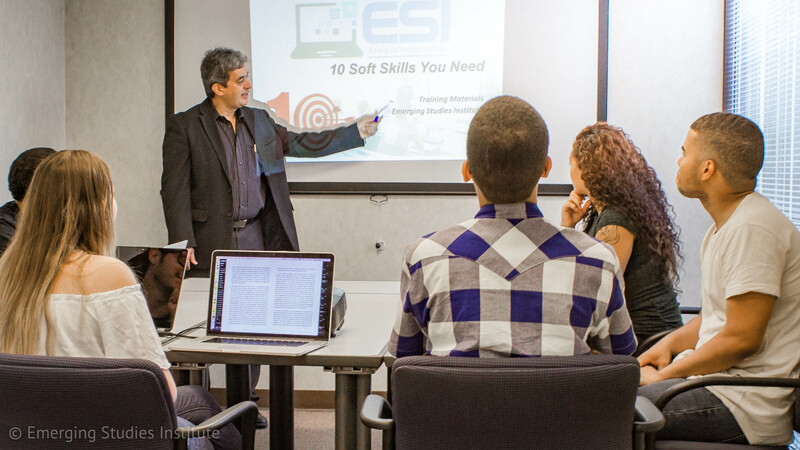 At ESI, students pursue their goals in an environment that values diversity, individuality, mutual respect and free exchange of ideas. 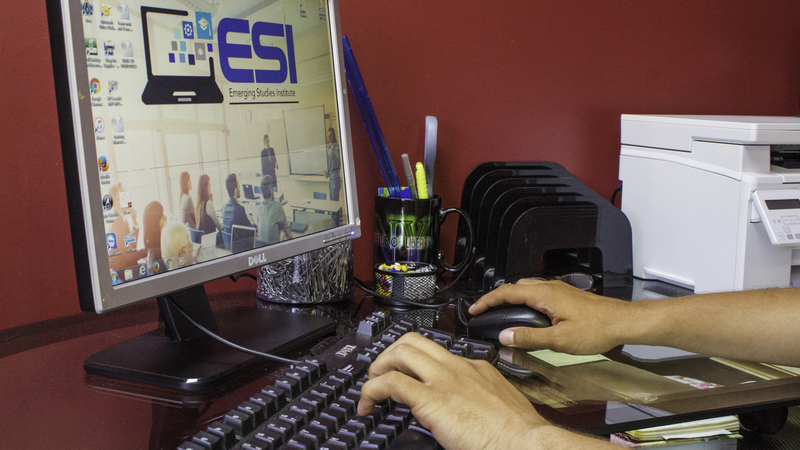 Once the student receives certification, ESI ensures job-placement services from entry level to management roles. We assist our students with the job search and resume building.Register today to take advantage of this great opportunity that can change your career life in a positive way! Extra beneficios de nuestras clases maestras! Quedan TRES dias para ‘El Arte de ser un Buen Supervisor!’ Webinar en Español! 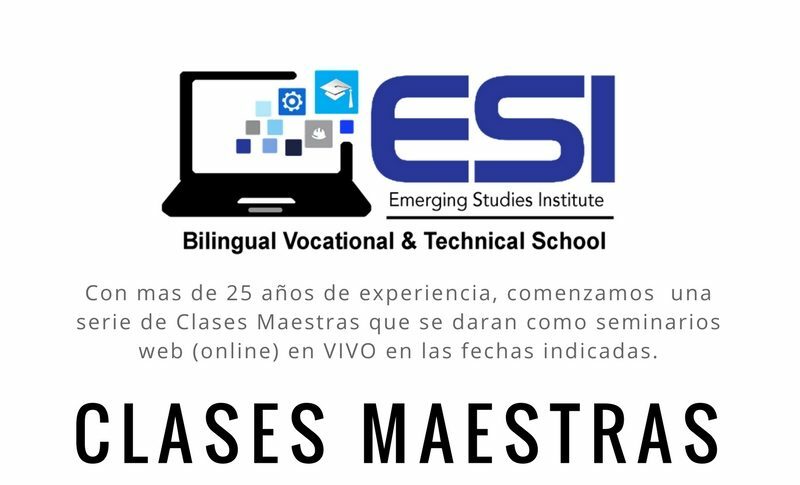 ESI Presenta Clases Maestras de finanzas, negocios, y liderazgo en Español! Te Invitamos a que te Registres! Aprende el arte de monitoreo y liderazgo! ESI Presenta su primer seminario GRATIS! Graduation took place July 19, 2017 . Enjoy videos, speeches, and photos from the weekend and share your own photos on Facebook. Interested in attending ESI? Sign up now to be added to our mailing list, and we’ll send you some detailed information about our programs. 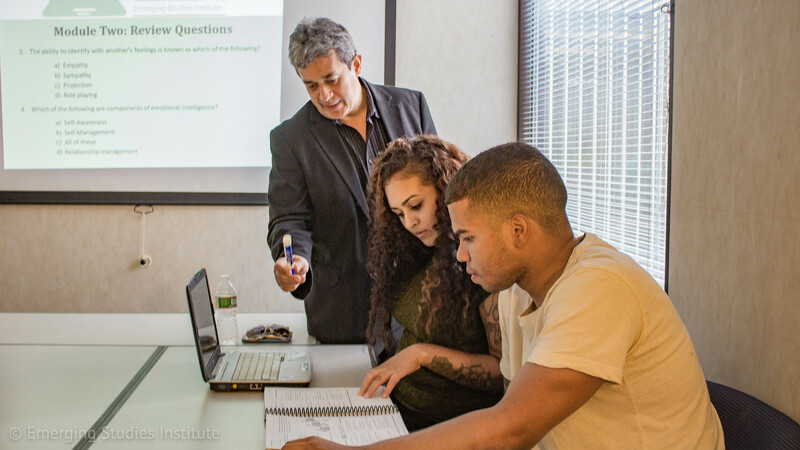 Emerging Studies Institute - ESI is a unique Bilingual Vocational & Technical School created to provide the training you need to change your life !. If you need help on any of our programs please contact us.